Got the injector wiring done, and the wiring for the FPS. Got the week off as I start my new job next week. So am getting down and dirty with the mini. Wiring is mostly ready to go on the car. 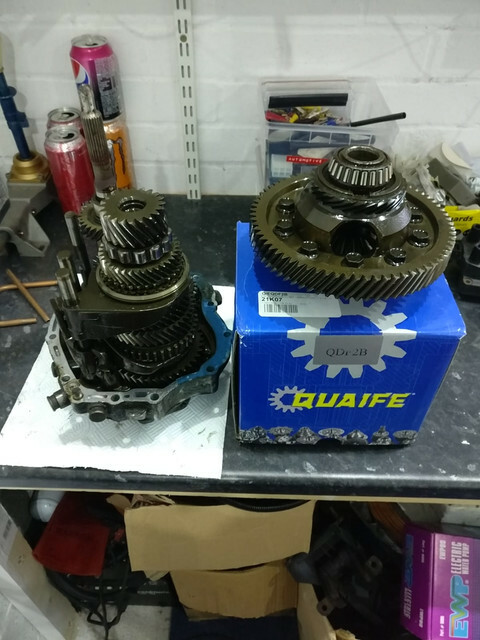 Engine out tomorrow, and into the gear box for the diff. Plus I need to get the impact driver on the oil gallery bungs for the temp sensor and pressure sensors. See below generic wiring loom pictures. Have also modified the fuel rail to take my pressure sensor. Right, after putting this on the back burner due to buying a house and getting married, im back on it. Stripped the F20 yesterday, ready for ATB/LSD.